Jenn King graduated from the University of North Carolina at Chapel Hill in 1995 with a Bachelor of Arts Degree in Psychology. She returned to school a few years later and earned her Associate Degree in Nursing from Wake Technical Community College in 2001. She began her career as a staff nurse at Duke Children’s Hospital in the Pediatric Bone Marrow and Stem Cell Transplant unit. She later went on to work in the Duke Children’s Health Center in the outpatient clinics specializing in hematology/oncology, stem cell transplant, neuro-oncology, and allergy/immunology. In 2011, Jenn began her research career as a Clinical Research and Regulatory Coordinator for Pediatric Neuro-Oncology at Duke University. 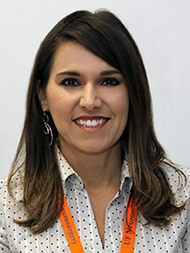 Ms. King joined the University of Florida Pediatric Neuro-Oncology group in 2016, bringing a wealth of experience and clinical research knowledge to the growing pediatric division.